Red Hat Enterprise Linux is the go-to Linux distribution for many enterprises. RHEL is the cornerstone that Red Hat built one of the most successful open source software businesses off of. Any time there is a RHEL release, those in the server world take note. Today, Red Hat announced the availability of RHEL 7.5. This is another milestone and one that brings tighter integration between RHEL and its ecosystem of internal solutions and partners such as Microsoft. This is the first major release since RHEL 7.4 which did a great job of expanding the hardware ecosystem to ARM servers. Here is an excerpt from the official press release you can read here. Red Hat, Inc., the world’s leading provider of open source solutions, today announced the general availability of Red Hat Enterprise Linux 7.5, the latest version of the world’s leading enterprise Linux platform. Serving as a consistent foundation for hybrid cloud environments, Red Hat Enterprise Linux 7.5 provides enhanced security and compliance controls, tools to reduce storage costs, and improved usability, as well as further integration with Microsoft Windows infrastructure both on-premise and in Microsoft Azure. As enterprise IT footprints expand to encompass a spectrum of environments, from bare metal to private and public clouds, organizations are frequently seeking to pair existing infrastructure and application investments with emerging digital technologies. Red Hat Enterprise Linux 7.5 can help enterprises address this challenge by reducing infrastructure complexity and associated costs while easing the management of hybrid IT environments. Hybrid IT environments provide significant new capabilities for enterprises, but can also present unique security challenges, as IT teams must now tackle security challenges across multiple deployment footprints. To better meet the varied security needs of hybrid computing, Red Hat Enterprise Linux 7.5 provides enhanced software security controls to mitigate risk while also complementing, rather than hindering, IT operations. A major component of these controls is security automation through the integration of OpenSCAP with Red Hat Ansible Automation. This is designed to enable the creation of Ansible Playbooks directly from OpenSCAP scans which can then be used to implement remediations more rapidly and consistently across a hybrid IT environment. Sensitive data can also now be better secured across varied environments with enhancements to Network-Bound Disk Encryption that support automatic decryption of data volumes. 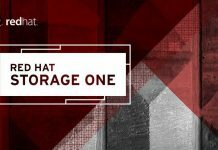 As enterprises seek to extend existing IT investments to both support hybrid cloud deployments and reduce overhead costs, storage optimization frequently becomes an important piece of the strategy. Red Hat Enterprise Linux 7.5 can help with the inclusion of virtual data optimizer (VDO), designed to reduce data storage costs in the cloud and on-premise by up to 83 percent according to Red Hat internal research. 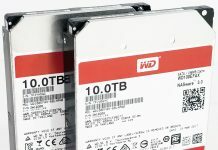 VDO reduces data redundancy and improves effective storage capacity through de-duplication and compression of data before it lands on a disk. Red Hat Enterprise Linux 7.5 can help reduce the overall learning curve for new Linux systems administrators, troubleshooters, and developers by making complex tasks, like systems management, easier through enhancements to the cockpit administrator console. Provided as a simplified web interface, these enhancements are designed to eliminate many of the complexities involved with managing Linux-based systems, including network and storage set-ups. Additionally, new functionality and integration with Windows-based infrastructure is offered in Red Hat Enterprise Linux 7, including improved management and communication with Windows Server implementations, more secure data transfers with Microsoft Azure, and performance improvements for complex Microsoft Active Directory architectures. Overall, this can help to provide a smoother transition for organizations seeking to bridge the scalability and flexibility of Red Hat Enterprise Linux 7.5 implementations with existing Windows-based IT investments. As containerized applications and container-based infrastructure frequently form a foundational component for many digital transformation strategies, Red Hat Enterprise Linux 7.5 emphasizes Red Hat’s leadership in making container-based technologies production-ready. Container security has been enhanced, adding proactive security and compliance configuration at build along with finer-grained security and host layer access controls. Red Hat Enterprise Linux 7.5 also adds full support for Buildah, an open source utility designed to help developers create and modify Linux container images without a full container runtime or daemon running in the background. This enables IT teams to build and deploy containerized applications more quickly without needing to run a full container engine, reducing the attack surface and removing the need to run a container engine on a system not intended to do so in production. 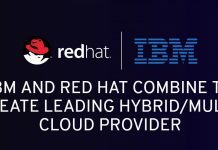 To further support customer choice in computing architecture, Red Hat Enterprise Linux 7.5 is simultaneously available across all supported architectures, including x86, IBM Power, IBM z Systems, and 64-bit Arm. This release also brings support for single-host KVM virtualization and Open Container Initiative (OCI)-formated runtime environment and base image to IBM z Systems. Red Hat Enterprise Linux 7.5 is now available in the Red Hat Customer Portal to all customers with an active Red Hat Enterprise Linux subscription. April is a big month for the Linux community as we are impatiently awaiting the release of Ubuntu 18.04 LTS as well, the biggest release for Ubuntu in two years.